Without much fanfare, Intellectual Ventures has put up a searchable public list of over 30,000 of its patents. Was it something I said? Seriously, this is a refreshing change for IV, which has, up until now, hidden its assets behind thousands of shell companies. It’s certainly a smart PR move, and it continues IV’s recent charm offensive to portray itself as a kinder, gentler patent troll. In a similar move, Conversant IP (formerly MOSAID) has put out its list of “Patent Licensing Principles.” The list emphasizes disclosure, good faith, and fair dealing. So what’s going on here? 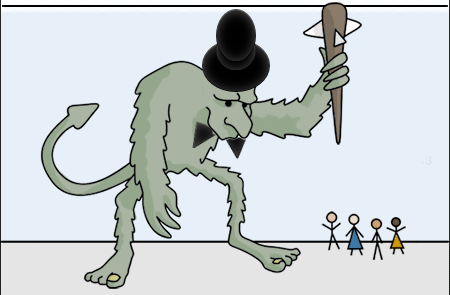 Are these a different breed of patent troll? Have they seen the light? To be fair, IV and Conversant don’t rely on a lot of the abusive litigation tactics that most patent trolls use. Then again, they’re so well-funded that they don’t need to. Still, they’re certainly nothing like the bottom feeder trolls that go after small businesses. But at their core, IV and Conversant are no different from IPNav or MPHJ. Their business models are based on forcing companies to pay for the right to continue doing what they’re already doing. IV and Conversant aren’t transferring technology to create new products; they make their money by identifying targets and demanding money. They just do it politely. IV and Conversant often get lumped in with the less savory patent trolls, and that’s not good if you’re trying to influence the conversation on patent reform. (See here and here.) And that’s likely why they’re trying to change their images. So this isn’t about a “better” or more socially acceptable patent troll. This is putting lipstick on a pig. The purpose of the patent system is “to promote the progress of … the useful arts.” IV and Conversant, however, see the patent system as something to be exploited for money.